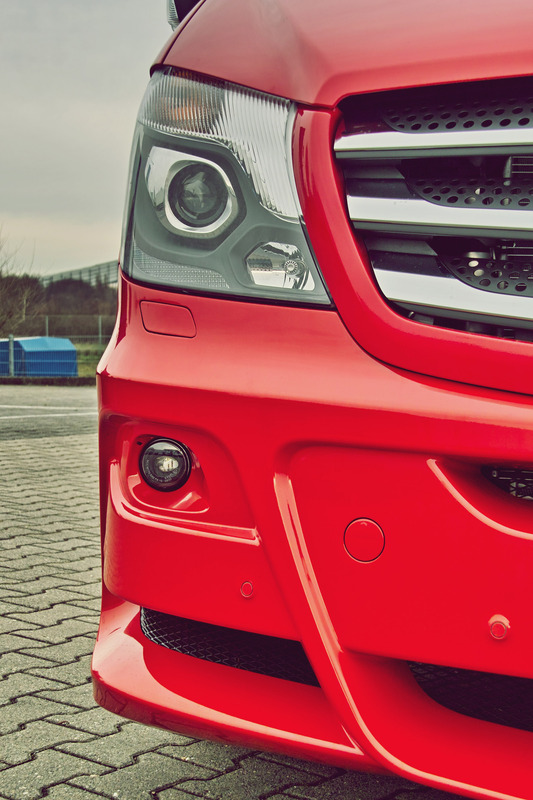 It is big and busy. 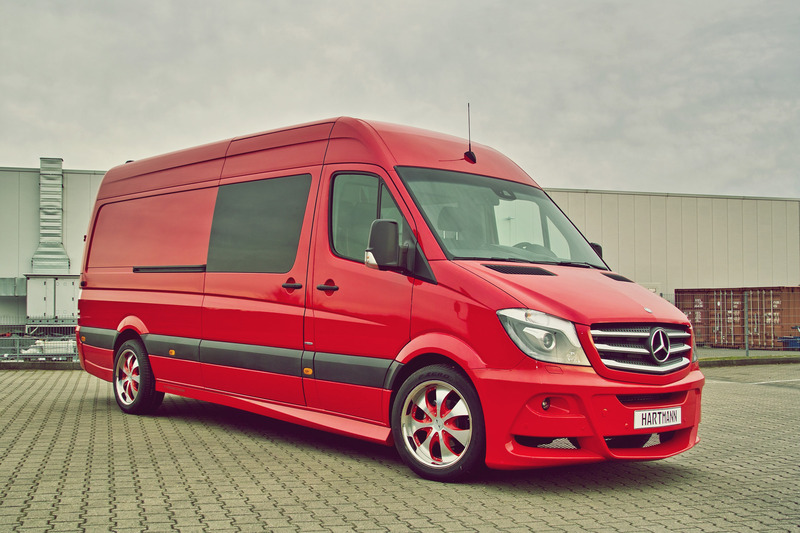 And thanks to the red and racy design the facelifted new Mercedes Sprinter VANSPORTS by Hartmann Tuning impresses in addition with its attractive appearance. 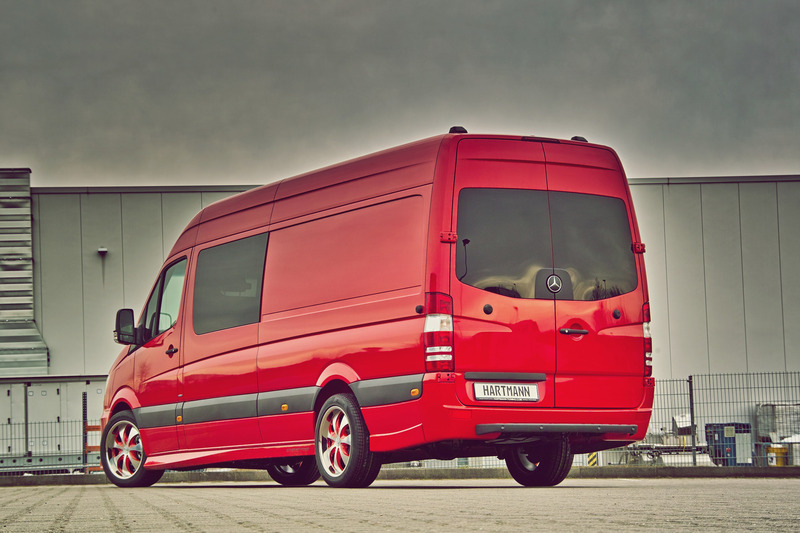 Is it possible to unify a long wheelbase and an overall sporty image just in one van? 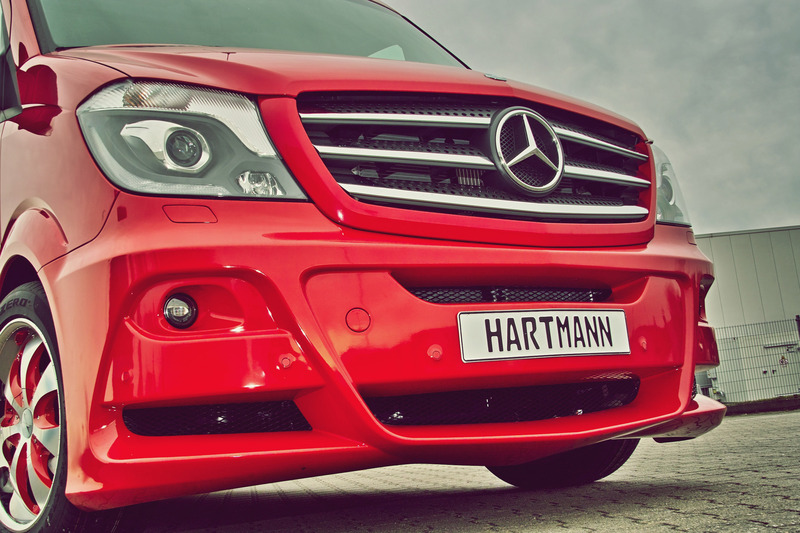 Yes it is – at least for "Hartmann Tuning"! 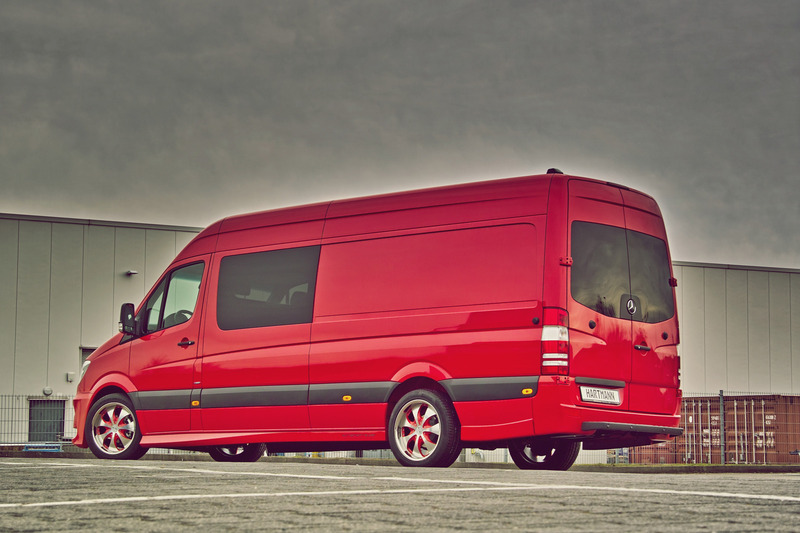 As a specialist for individual and sporty light trucks and vans, the German tuner "Hartmann Tuning" makes the seemingly impossibe possible. 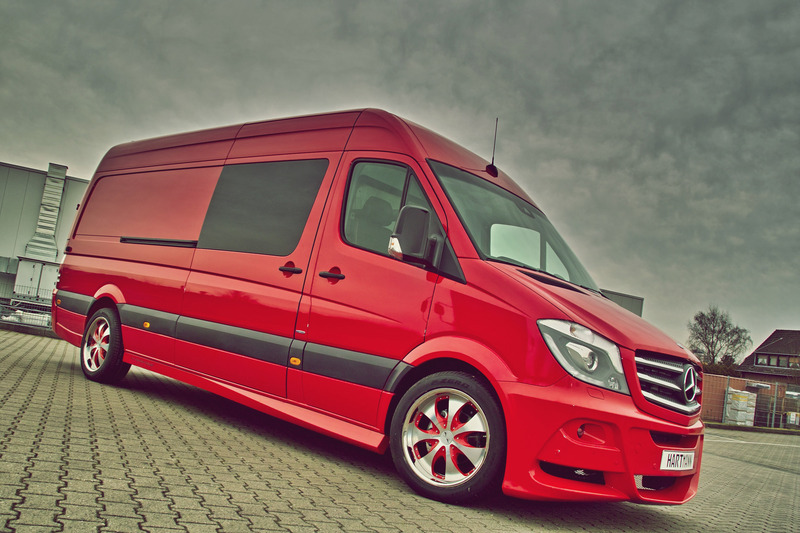 Using the accessories from the VANSPORTS styling program of "Hartmann Tuning" the Mercedes Sprinter 319 CDI with long wheel base has been converted into a huge van with an impressive sports look. 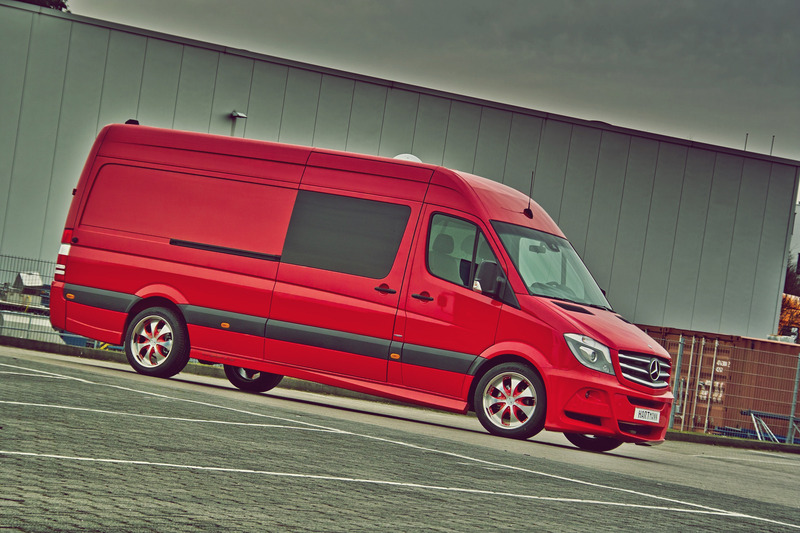 Spoilers at the front and the rear, sideskirts and special foglights (components of the SP6-stream accessories- programm from VANSPORTS ) make this Mercedes van look like the front-runner among other sprinters. 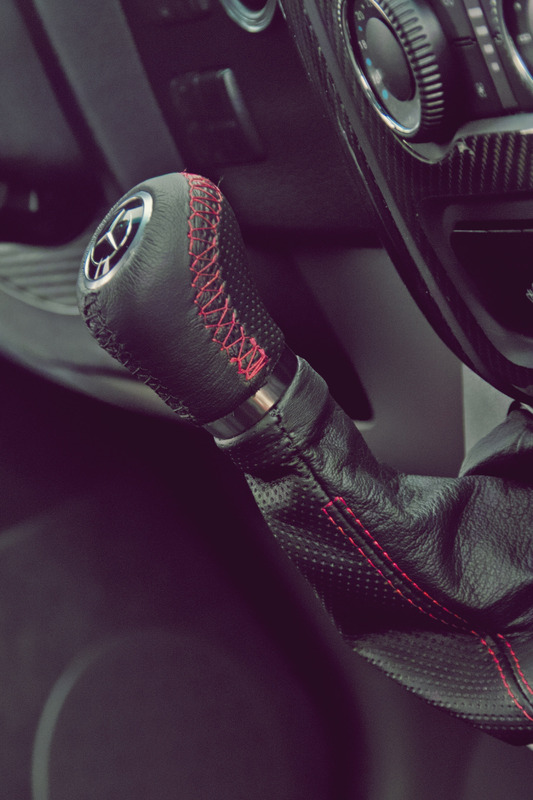 Without made to measure sports shoes a top athlete should not show up on the track . 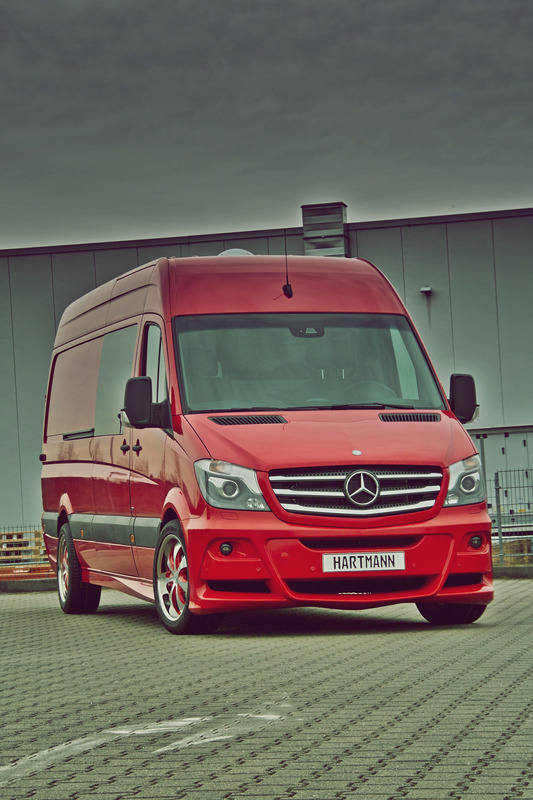 Therefore Hartmann Tuning equipped the Mercedes van with fascinating Zaro rims (9x20) – finished in an attractive two-tone look . 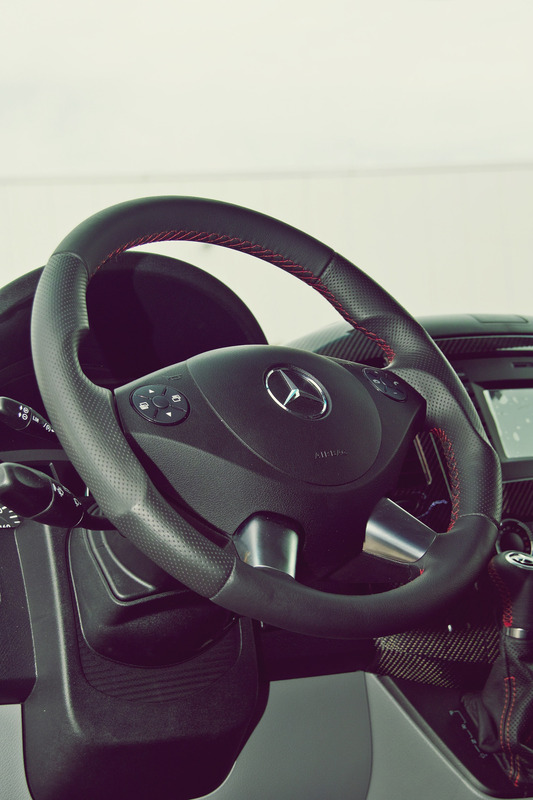 The rims are combined with tires from Pirelli (P- Zeo Nero 265/45 R20). 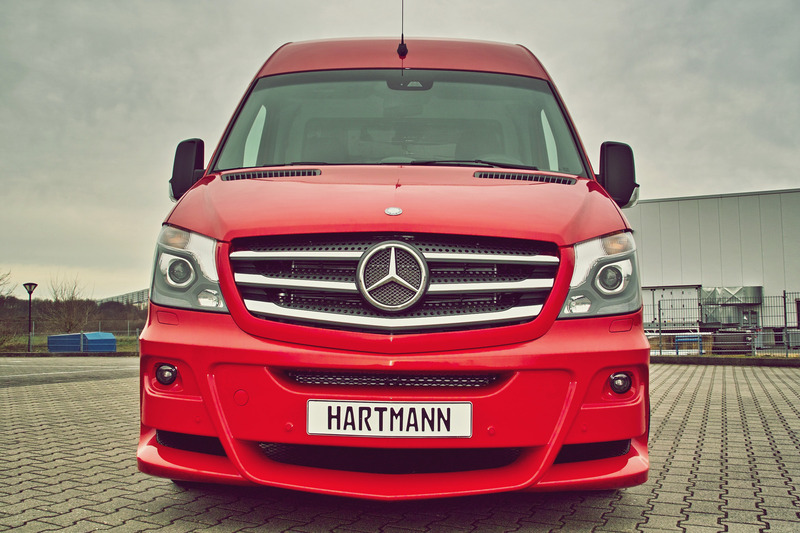 Beefing up the inner values of the Mercedes Sprinter is easy with Hartmann Tuning. 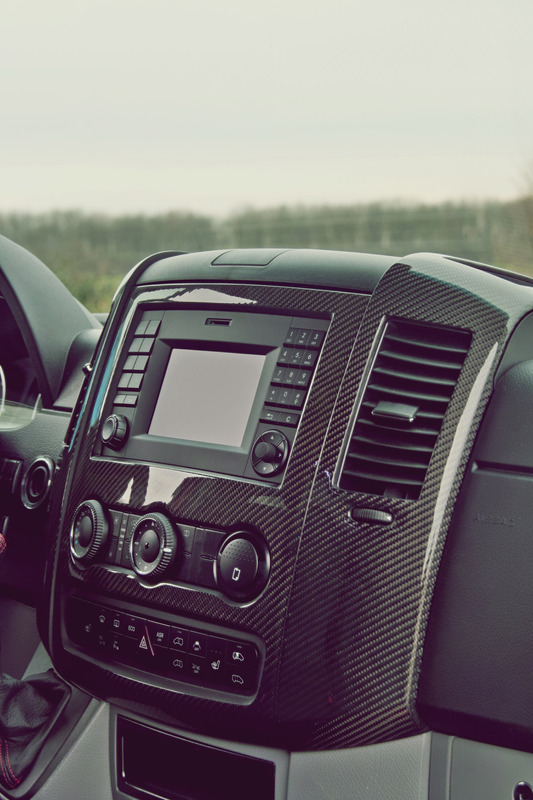 Striking VANSPORTS accessories like leather steering wheel, leather shift knob, pedal covers, carbon fiber decor and chrome door sill plates refine the driver's cab. 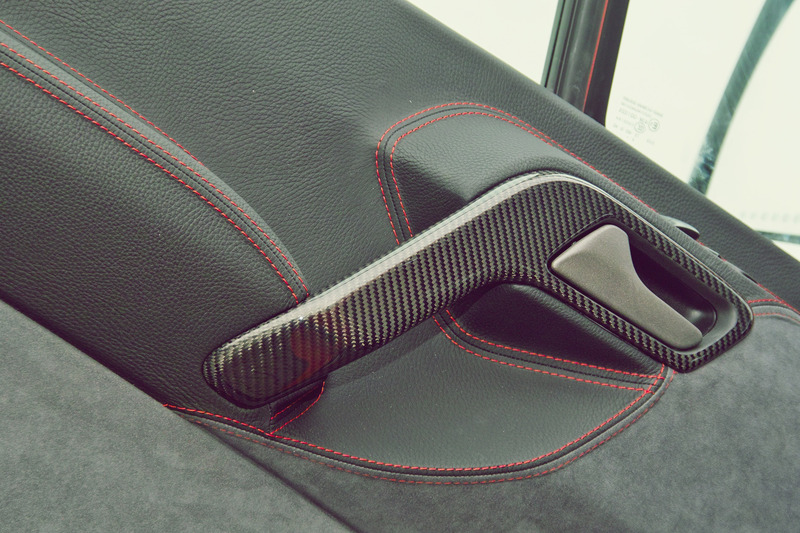 Last but not least the driver will enjoy the alcantara door trim with coral red contrast stitching and the leather upholstery with checkerboard pattern and sporty red stitching as well.